Today I went to Mall Kelapa Gading with my bf. I really want to buy a Dolly Wink Liquid Eyeliner in black. I've read so many reviews about this eyeliner and I feel curious to try it. Haha. 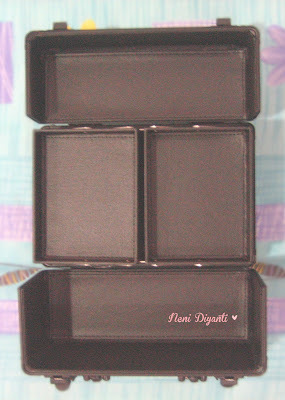 Yeah, beauty bloggers who review this item, you've succeed seduce me to buy #LOL. I went to SOGO which sell any Dolly Wink's items. 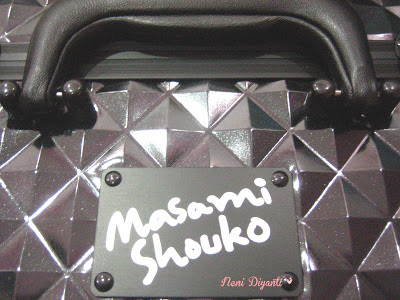 I grabbed a Dolly Wink Liquid Eyeliner in black (review it later) and suddenly my eyes saw a row of make up cases by Masami Shouko. The first one which catch my eyes is the black diamond series size M. The SPG kindly open it for me and let me see the inside. And I felt like "wow, I should have this one!" She said it's on promo, 50% off for purchasing this item! WOW!She also said the promo will end in 28th Feb. 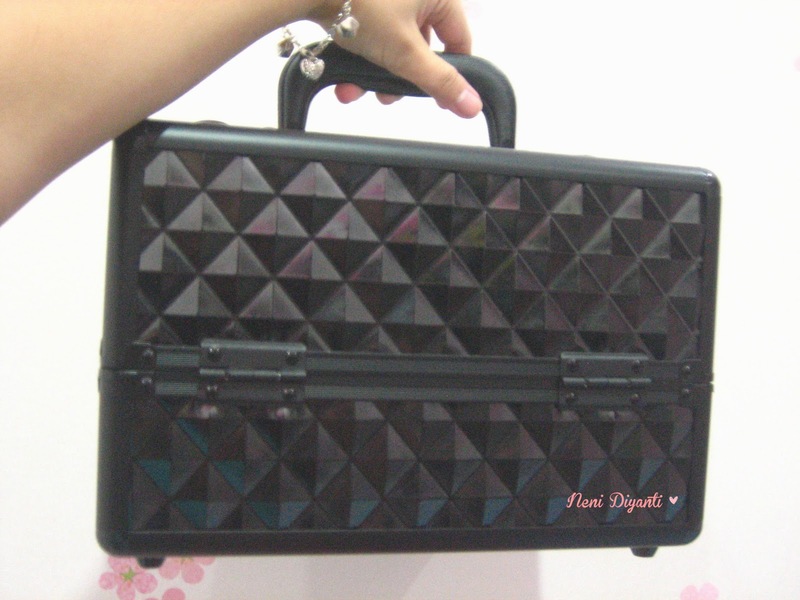 Seriously, that time I didn't bring enough money to buy it :( I said to my bf that I really want it so much. Haha. Then I call my mom, asked whether I can buy it or not, I also said it's on promo 50% off :p My mum said ok and the only problem was I still don't have enough money. It almost end of month, and yea I've spent my money for many things (including buying 2 urology books, 1 pelvis anatomy book). It really looks superb adorable! Like it, love it, fall in love with it ♥ Haha. 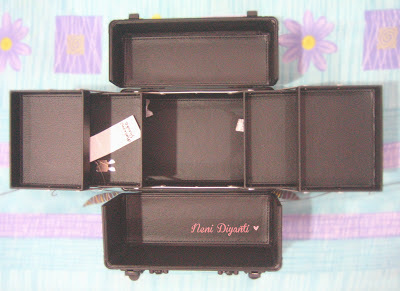 Since this one is my first make up case ; my own :p I used to store my beauty things in my mom's make up case. This is how it looks when you open the case. The top and bottom part is its cover and the two box in the middle is its compartments. Only 2? Nah, you can see the other compartments will pop out after you slide it. 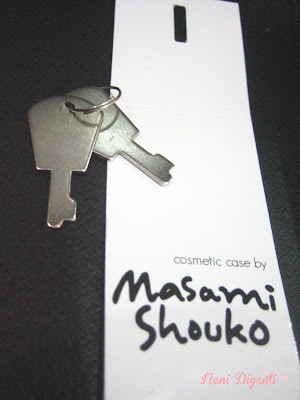 Yes, it also come with keys. You can lock out this case in the name of security when you bring it for traveling. If you want to buy this make up case, you can visit Masami Shouko or open their facebook Masami Shouko's facebook. They also available at counter Kay Collection at Pacific Place,Gandaria City and Kuningan City, SOGO, Debenhams, SEIBU, Metro, Matahari, STAR, Guardian.